Every website owners and bloggers must have Facebook page to attract more customers and visitors for their brand. 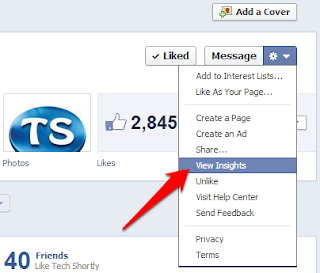 There are many third party apps and websites available on Internet to find your Facebook page stats. Here simple tutorial tells how to download your Facebook page statistics without using any third party apps and plugins. 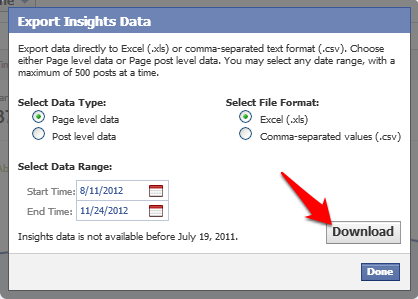 Now you can see all your page statistics in different categories, then click on "Export Data" button. After click on the Download button your data will be downloaded to your computer in specified file format.